Is a cheaper iPhone coming at Apple WWDC? There's nothing particularly fresh or surprising about new iPhone rumours, as pretty much anything is possible when it comes to the predicted revamp, but we hadn't expected a considerably cheaper model to be on the cards. According to the Financial Times, "people familiar with the initiative" are saying Apple will use Monday's WWDC event to announce an iPhone with a cheaper up-front cost that may, just possibly, arrive alongside an upgrade to the standard model. The FT quotes one Morgan Stanley analyst as saying "It's either a $50 or a $100 cut." 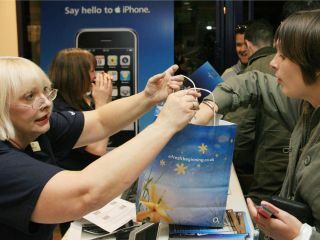 Research suggests those price cuts could stimulate iPhone sales by 50 and 100 per cent, respectively. At this stage, nothing is certain, not least if this cheaper phone will be the only new model or if - as many suggest - it will be the iPhone nano to sell alongside the regular iPhone. If a cheaper handset is introduced, however, it makes sense to expect the phone networks to pair it with less expensive monthly plans too.